You are here: Home > Recipes > Jose’s Fire Water! 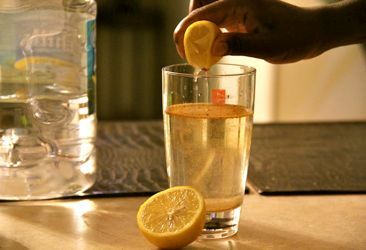 Juice of one whole, large lemon. An ideal elixer for colds, flus or after a long day. Called ‘fire water’ due to its ability to stoke the digestive process, the ‘fire’ in our gut. The Lemon and Cayenne are natural detoxifiers, while the raw honey boosts immunity and fends off allergy symptoms. Bottoms up- To good health! Boil water, preferably filtered spring water or deionized water. Add lemon juice, honey and cayenne to taste. Sip and feel the fire!